Of all the qualities to look for in the person you’re going to spend the rest of your life with, I think that finding someone who makes you laugh is incredibly important. Being able to laugh through the good times and bad makes life more enjoyable and endurable. Sammie and Kyle definitely struck gold in this department. These two are constantly laughing around each other, and it’s incredibly infectious. I’ve known Sammie since we were little girls in elementary school, and one thing that has remained the same after all these years is her bubbly, joyful laugh. You can’t help but smile when you’re around Sammie, and Kyle is no different. Grinning ear-to-ear, Sammie and Kyle wed at Tundra Lodge Resort, just under the shadow of Lambeau Field in Green Bay. 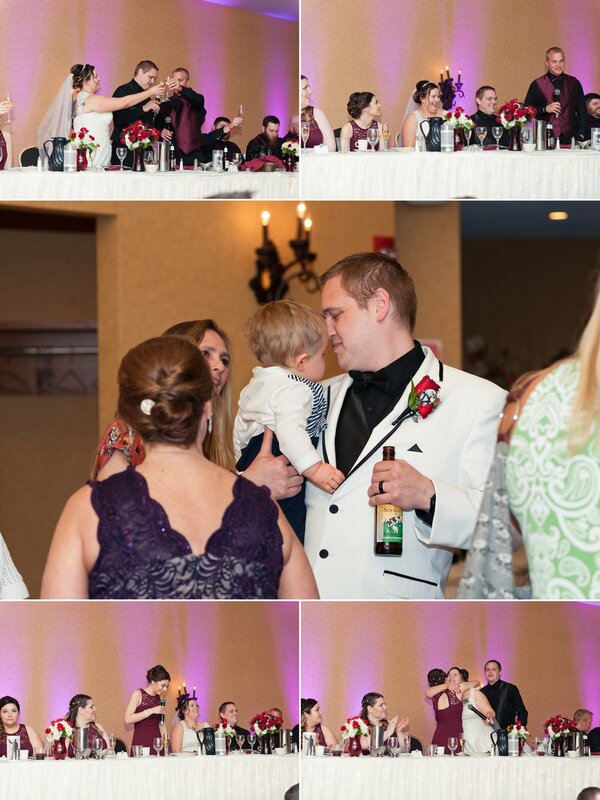 Their son was the most adorable ring bearer and watched the festivities with an inquisitive eye. Their love for Disney and The Nightmare Before Christmas shone through in the details they carefully selected, from Kyle’s boutonniere to the ice sculpture in Tundra Lodge’s cocktail area to the guest place cards. 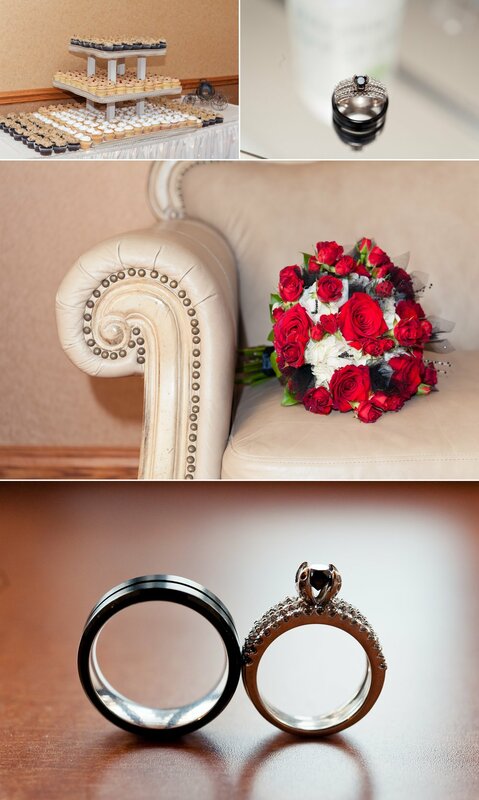 Every detail was thoughtfully selected. 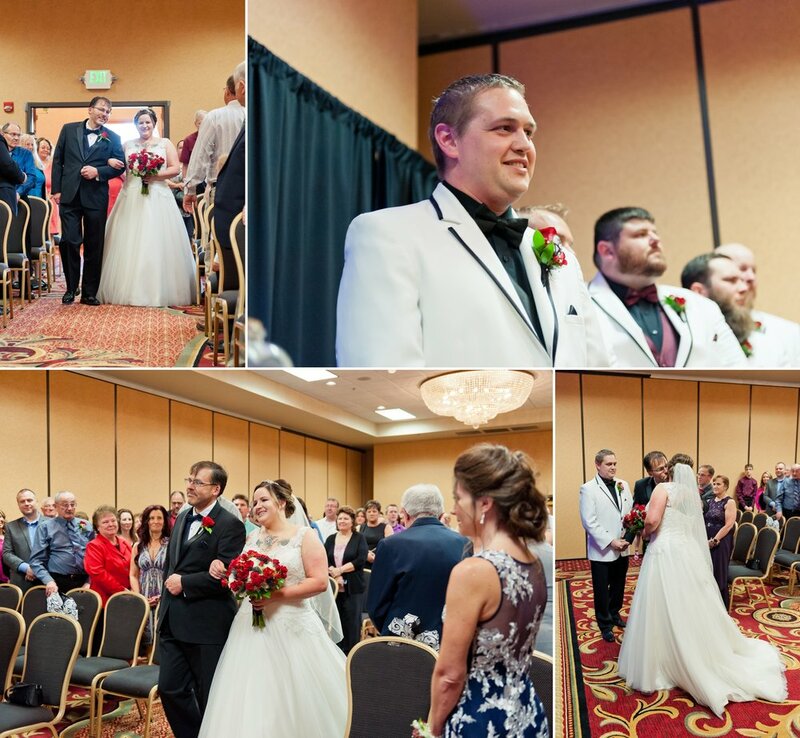 Their laughter and the laughter of their wedding party rang out in Lambeau Field’s plaza as we celebrated the happy couple after their ceremony. The party was just beginning! These two know how to throw a killer reception, especially when a family-friend is a local celebrity DJ and he’s behind the deck. To honor Sammie’s Polish background, a few polkas were of course thrown in. Let me tell you, her family can cut a rug! These two already have an amazing beginning to their beautiful forever. I can’t say enough how grateful I am to have captured a few chapters of their fairy tale. Best wishes to you both, and thank you for your friendship. 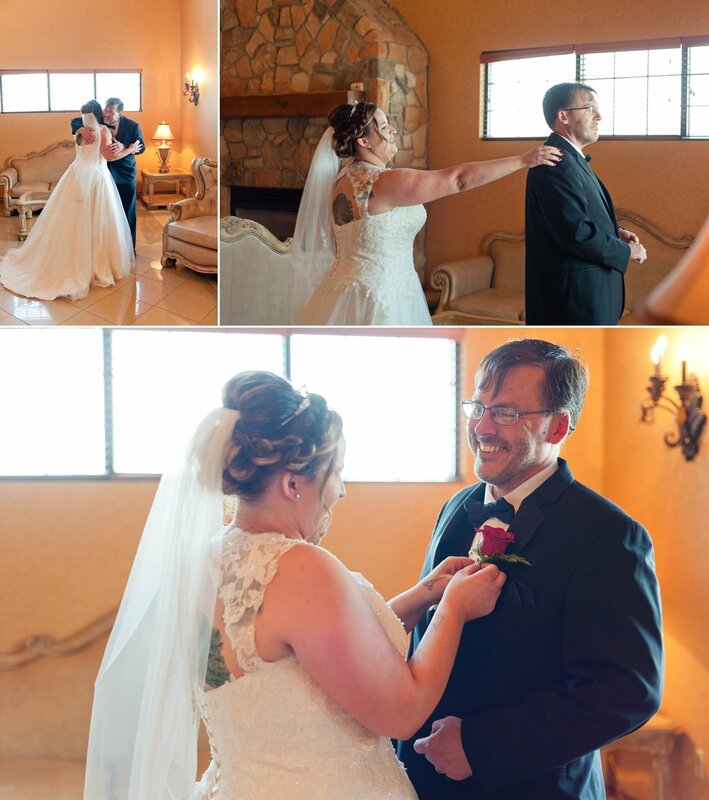 Thanks to all the amazing wedding vendors that helped make Sammie + Kyle’s big day wonderful!